Many different ways of analyzing spatial variation in biological diversity - the biogeographic patterns - have been employed by different authors and some of the assumptions in these methods are discussed here. The chronological aspect of evolution is discussed in the next chapter. Every kind of plant or animal has its own particular distribution and ecology, and this was already well-understood in ancient times. Yet portraying a distribution is not straightforward. New collections are always being made and ideas on the delimitation of taxonomic groups change. Outline maps are generalized simplifications only but are useful for comparative purposes. Although dot maps showing sample localities give more detail, they are always incomplete, the accuracy of the dot locations can often be questioned, and the entities that the dots represent - the populations or individuals - are constantly changing position due to birth, death and movement. A distribution is dynamic and so a distribution map represents an approximation, a probability cloud, not an actual distribution. Nevertheless, the fact that so many distribution maps have been made reflects the high value that biologists and many others have put on them. Knowledge of organic distribution is useful for simple survival and economic development, as the plants, animals and microbes of a particular place are often among its most distinctive and valuable features, and also its most poisonous and dangerous. Many groups have particular, idiosyncratic distributions; the details of these are known by local people and broader scale distributions are documented in the literature. and some of the biota will likely survive to become montane taxa. Depending on where it is located, a population may be uplifted or not during an episode of mountain building and so biogeography can determine ecology, rather than the reverse. The focus in this book is on distribution patterns and their interpretation in terms of evolutionary processes. Most biogeographic interpretation over the last two thousand years has been based on a single paradigm, the center of origin/dispersal model of historical development. But having only a single working hypothesis to explain a set of phenomena can lead to problems and over time it becomes easy to accept that the single hypothesis is the truth. Although much modern work in biogeography stresses supposed consensus, in science and philosophy, as in art and literature, a diversity of views and approaches can be a good thing. Puritans of all sorts (whether Oliver Cromwell or Louis XIV) cannot stand anyone having a different view from themselves. The inflexible schemes of these great simplifiers, levellers, and systematizers can hold up progress for decades. In contrast, geologists (Chamberlin, 1890 reprinted 1965) and now molecular biologists (Hickerson et al., 2010) cite the method of 'multiple working hypotheses'. This proposes that it is never desirable to have just one working hypothesis to explain a given phenomenon. Accepting a single interpretation as definitive can be counter-productive and lead to the decline of a subject. It is unfortunate that the interpretations of the data currently given in most molecular studies are all based on the same fundamental concepts. This 'plug-and-play' biogeography involves the following steps: assume that the study group has a center of origin and use a suitable program to find one; accept that fossil-calibrated clock dates give the maximum age of the group; describe possible dispersal routes from the center of origin. The axioms that are assumed here can be questioned though and a Socratic approach may be useful. Canetti (1962) wrote that: 'A scholar's strength consists in concentrating all doubt onto his special subject' and a healthy scepticism is one of the pillars of science, both in history and in everyday practice. When identifying unfamiliar plants and animals on the reef or in the rainforest it is tempting, but often dangerous, to jump to conclusions before considering a wide range of possibilities and the same is true for biogeographic interpretation. The case studies of different groups discussed below adopt certain assumptions and concepts, and some of these are outlined next. Molecular studies reveal highly ordered geographic patterns in plant and animal distributions. 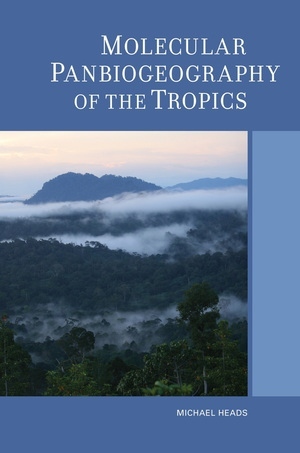 The tropics illustrate these patterns of community immobilism leading to allopatric differentiation, as well as other patterns of mobilism, range expansion, and overlap of taxa. Integrating Earth history and biogeography, Molecular Panbiogeography of the Tropics is an alternative view of distributional history in which groups are older than suggested by fossils and fossil-calibrated molecular clocks. The author discusses possible causes for the endemism of high-level taxa in tropical America and Madagascar, and overlapping clades in South America, Africa, and Asia. The book concludes with a critique of adaptation by selection, founded on biogeography and recent work in genetics. Michael Heads is a former Senior Lecturer in Ecology at the University of the South Pacific. He is now an independent scholar living in New Zealand.